The episode remembered in Turkmenistan as 25 Sanjar (November, renamed on Saparmurat Niyazov's order) took place five years ago. According to the Turkmen authorities, attempt on the life of President Niyazov was made that day in 2002. The cortege taking Niyazov from his out-of-town residence to the presidential palace in central Ashkhabad came under fire that Monday. A KamAZ truck cut the Turkmenbashi's limo from the accompanying vehicles with bodyguards. These vehicles were riddled with bullets, according to reports in official media outlets, from a BMW and two Gazelle trucks parked on the curb. Men emerged from a building nearby and opened up on the cortege too. Several men sustained gunshot wounds. An officer of the Defense Ministry's Traffic Control Service rushed the KamAZ but was run down. Niyazov himself escaped without so much as a scratch. In fact, he would say later that he drove right to the palace not even knowing that his escorts were in so dire a predicament. "The KamAZ cut off the two other vehicles of the cortege," the Turkmenbashi said. The Prosecutor General's Office mounted an investigation. The following day (November 26), the media reported over 100 arrests in families of suspects. "We have no doubts whatsoever that the terrorist act was masterminded and carried out by Shihmuradov, Hanamov, Orazov, Jumayev, and Iklymov," Prosecutor General Kurbanbibi Atajanova said. Former Deputy Premier and Foreign Minister Boris Shihmuradov, businessman Guvanch Jumayev, and Iklym Iklymov (the brother of ex-Senior Assistant Minister of Agriculture Saparmurat Iklymov) were seized. Saparmurat Iklymov, ex-Deputy Premier Hudaiberdy Orazov, and ex-Ambassador to Turkey Nurmuhamed Hanamov emigrated and were sentenced to imprisonment in absentia. 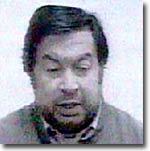 On December 29, 2002, prime suspect Shihmuradov confessed organization of a coup d'etat. Put in front TV cameras, Shihmuradov said, "There is no opposition... I put together a criminal group to destabilize the situation, undermine the constitutional regime, and exterminate the president." Shihmuradov said as well that Abdurashid Kadyrov, formerly Uzbek Ambassador to Turkmenistan, had helped and offered him shelter in the diplomatic residence. 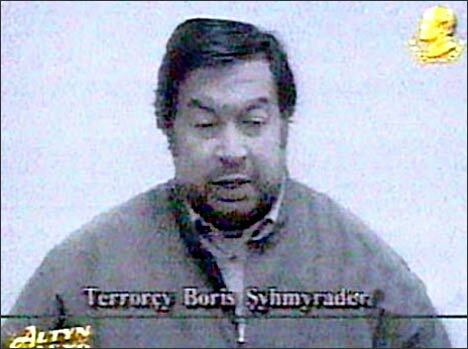 Shihmuradov urged his accomplices to surrender. "President Saparmurat Turkmenbashi is a godsend for the people of Turkmenistan," he said. Shihmuradov's friends announced that he had been pumped full of drugs. Just five days before his appearance in front of TV cameras Shihmuradov had had a letter published where he stated that he had been in Ashkhabad at the moment of the assassination attempt which was but "a show arranged by the regime to give it an excuse to uproot the opposition." In a word, he, Shihmuradov, had come to Turkmenistan in September to arrange mass protests but Niyazov forestalled them and had his secret services stage the assassination attempt. Shihmuradov drew life sentence. It happened five years ago. Bairam Shihmuradov, his son and one of the leaders of the Republican Party, does not even know if his father is alive. "We do not know anything at all," Bairam Shihmuradov told Ferghana.Ru. "There is only this one episode when Gurbankuly Berdymuhammedov was asked on a visit to the United States if Shihmuradov and Berdyev were alive and replied he was sure that they were." Shihmuradov and families of other prisoners still hope for restoration of contacts. "Niyazov once told foreign diplomats accredited in Turkmenistan that these prisoners would spend the first five years of imprisonment totally incommunicado," Republican Party leader said. "He promised then to permit these prisoners meetings with families after five years." "I was told that my father was tried on December 31, 2002. In other words, the first five years of imprisonment will be up on December 31," Shihmuradov said. "I cannot say if we are to be permitted a meeting with him or whatever," Shihmuradov said. "I hope that Berdymuhammedov will keep his word since he regards himself as the Turkmenbashi's disciple and follower. There is nothing on the subject of the first five years imprisonment to be found in the acting legislation but Niyazov did make this promise to foreign diplomats..."